while i was continuing and exploring the scope of painting outdoor from live action scenes and studying life by sketching vigorously. i also tried to work indoor studying and painting from various photographs and online images. 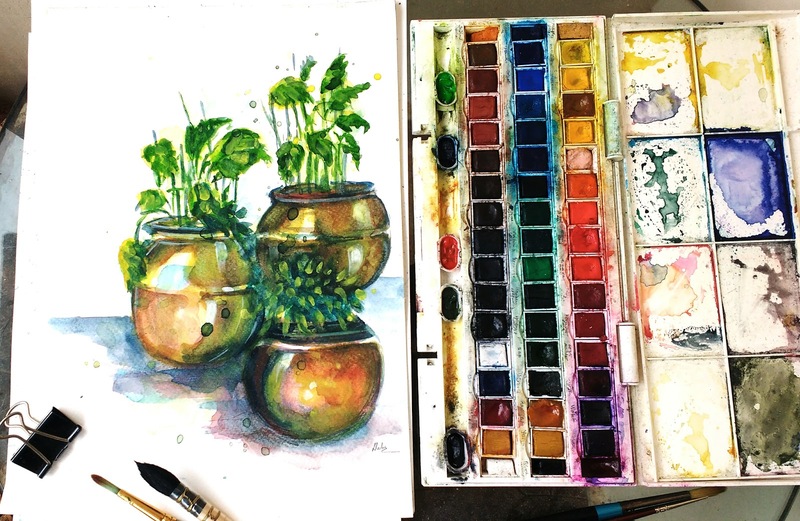 while studying watercolor indoor, i heavily relied on my two sets of watercolors. 1. cotman studio 45 set of halfpans and another is our 2. Indian local brand camel or camlin. they are very good with very vivid granulating pigments.. many of them are straining but that helps to create a kind of added drama on the paper. Cotman — as usual need no introduction as its a student grade product by winsor and newton company from UK . love them. 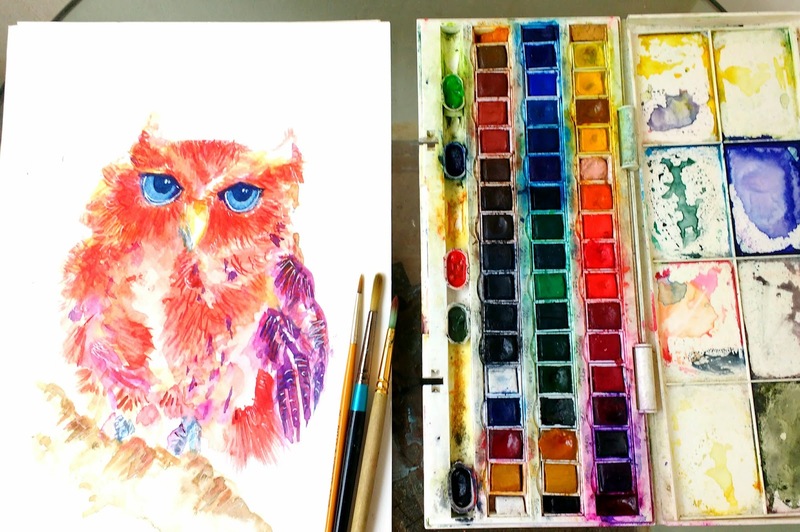 its good for the beginners even the professional and intermediate artists and watercolorists. its rather very good for studying the watercolor techniques. though they dont come cheap in India. its always an Imported set here. i would always recommend Indian brand camel for beginners. it comes cheaper and also available in most of the indian stationery shops. one must get artist quality tubes or cakes to get a really good result. I do agree that it gives a hard ime to any beginners because of its granulating and straining pigments..
it always good to start with rough pigments, it tough to control and gives ample opportunity to learn.